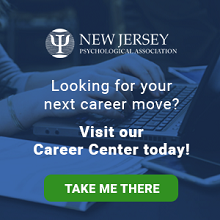 The effective date of the new CE regulations is June 19, 2017, which means psychologists may begin accumulating continuing education credits for the June 2019 license renewal. Also, 10 credits earned during the 2015-2017 license period may be carried over and applied to your requirements for June 2019. Read the final regulations here. Continuing education (CE) in psychology is an ongoing process consisting of formal learning activities that (1) are relevant to psychological practice, education and science; (2) enable psychologists to keep pace with the most current scientific evidence regarding assessment, intervention, and education as well as important legal, statutory, or regulatory issues ; and (3) allow psychologists to maintain, develop, and increase competencies in order to improve services to the public and enhance contributions to the profession. Continuing education builds upon a completed doctoral program in psychology. It is not a substitute for the basic academic education and training needed for entry to the field of psychology, nor should it be the primary vehicle for career changes from one APA-recognized specialty area (e.g., clinical, counseling, school psychology) to another. *From Standards and Criteria for Approval of Sponsors of Continuing Education for Psychologists, August 2015, American Psychological Association.